Born in Osaka in 1930, Kakehashi grew up in Japan’s turbulent pre-war period. His childhood was marked by tragedy when his parents passed away when he was just 2-years-old. In his teenage years, he divided his time studying engineering while also working in Japan’s shipyards. Health issues unfortunately prevented him from enrolling in university and in 1946 he relocated to Japan’s southern-most island Kyushu where he took up employment as a geographical survey assistant. Kakehashi had a keen interest in music and technology, which he explored as a sideline to his new business venture in watch repair. Working with short-wave radios meant that he could receive foreign broadcasts – and he also helped to repair radio sets as part of his business. More misfortune struck him when he contracted tuberculosis, which left him spending many years in convalescence. Despite the poor prognosis for his future, Kakehashi was selected for treatment with a new drug which restored him to health and enabled him to return to Osaka. Keen to expand his accumulated knowledge about electronics, he set up a new business dealing with electrical repair work – a business that later became Ace Electrical Company. Ace provided him with the platform to start exploring musical applications for his skills, particularly the idea of electronic instrumentation. Although this work initially featured the design of organs and guitar amplifiers, the first real fruits of his labour consisted of the development of the Ace Tone FR1 Rhythm Ace. With 16 preset patterns and the ability to mix those rhythms, this unit laid the foundations for the rhythm units that would be later be part of Roland’s legacy. Kakehashi was also keen to take his products overseas, which meant having a presence at the NAMM trade show in the US. He also established a business relationship with Hammond Organs, which proved a valuable partnership and helped to establish Kakesahsi’s products for a global market. In 1972, due to a business issue in which Kakehashi found himself as a minor shareholder in his own company, he decided to strike out on his own with a new venture. Still focussed on expanding globally, Kakehashi was keen for the new company to have a name that was easy to pronounce for foreign markets. The simple 2- syllable word “Roland” (which was taken from a telephone directory) suited Kakehashi perfectly. Roland’s legacy in the world of electronic music is a lengthy record that’s not easy to sum up in one article. But it’s a business that’s marked with several significant developments that, in some cases, have had a revolutionary impact on the music industry. 1973 marked the release of Roland’s SH-1000, which was one of Japan’s first synthesisers. Although crude by modern standards, this monophonic analogue synth proved popular with the likes of Vangelis and The Human League. The mid 1970s also saw the development of Roland’s first modular synths. Although this started out with the classic semi-modular System 100, Roland later introduced the System 700. Looking more like something at home on the set of a science fiction film, this modular unit was a truly professional bit of kit that required a very knowledgeable hand in order to get the best out of it. Producer Martin Rushent had one, as used for The Human League’s Dare album (which also used Roland’s Jupiter-4 and an MC8). Roland’s ventures into the effects market is also significant. Their work on tape-echo units paved the way for the classic Space Echo series. Meanwhile, Kakehashi formed a subsidiary company, which later became Boss – a name that would later become synonymous with effects units. Roland also moved into the field of sequencers, with the MC-8 MicroComposer being one of their early products. Technopop outfit Yellow Magic Orchestra were one of the first bands to utilise the MC-8 (which was programmed by “fourth” YMO member Hideki Matsutake). The MC-8 had a whopping 16k of RAM(!) which allowed it store over 5,000 notes. Data could also be saved to cassette. As well as bands such as YMO, synthpop outfit Landscape were also an early adopter of the unit. YMO also made use of Roland’s VP-330, a vocoder-enhanced synth, which can be heard on the robotic intro to ‘Technopolis’. In 1978, Roland released the CR-78 CompuRhythm, a programmable drum machine whose range of presets and ability to change sounds brought it into the favour of many bands of the late ’70s and early ’80s, including Blondie, Gary Numan and Ultravox. John Foxx utilised it for his Metamatic album, but the sound of the CR-78 is perhaps best typified by OMD’s classic ‘Enola Gay’. 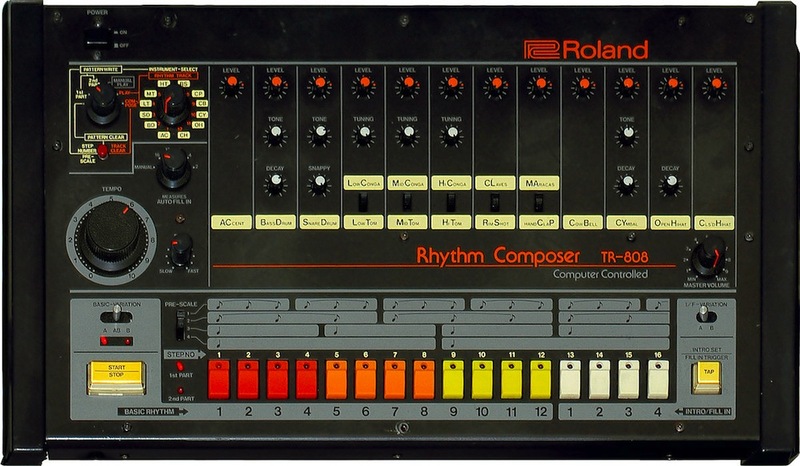 But perhaps Roland’s most well known product is the TR-808 Rhythm Composer. Released in 1980, this programmable drum machine was a commercial failure on its release (and was actually discontinued in 1983). However, that didn’t stop the 808 achieving cult status. Originally developed as a competitor to the Linn LM-1 drum machine, the 808 didn’t do a great job at reproducing traditional acoustic percussion sounds (unlike the Linn which actually used samples of real drums). Instead, the 808 was notable for its futuristic, synthetic sounds – particularly the powerful bass. Naturally, YMO were one of the first bands to get to try the 808 out. Their track ‘1000 Knives’ (actually a re-recorded version of a track that Ryuichi Sakamoto had recorded for his solo album) was the first studio recording to make use of the 808. Listening to a lot of YMO’s material at the time, it’s not difficult to isolate the use of the 808 and see the elements that would be adopted by much of the hip-hop and dance outfits of the 1980s. The 808 was used by the likes of Marvin Gaye (‘Sexual Healing’) and, in particular, Afrika Bambaataa & the Soul Sonic Force for ‘Planet Rock’. ‘Planet Rock’ is considered to be one of the foundations of modern hip-hop as well as popularising the use of the 808 (its use of Kraftwerk’s ‘Trans Europe Express’ also demonstrated the reach that electronic music was having). Meanwhile, the 808 went on to be used by the likes of Beastie Boys, Run-D.M.C. and Public Enemy. It was also used by the likes of Depeche Mode, Howard Jones, Trevor Horn, Talking Heads, New Order, Blancmange, Jean-Michel Jarre (Rendez-Vous) and Cocteau Twins. In 1981, Kakehashi proposed the idea of standardising a system by which synthesisers could “talk” to one another. The likes of Oberheim and Sequential Circuits found merit in the idea and the suggestion was then expanded to include all of the major manufacturers at the time, including Korg, Moog, Yamaha and Kawai. The result was the Musical Instrument Digital Interface, or MIDI. 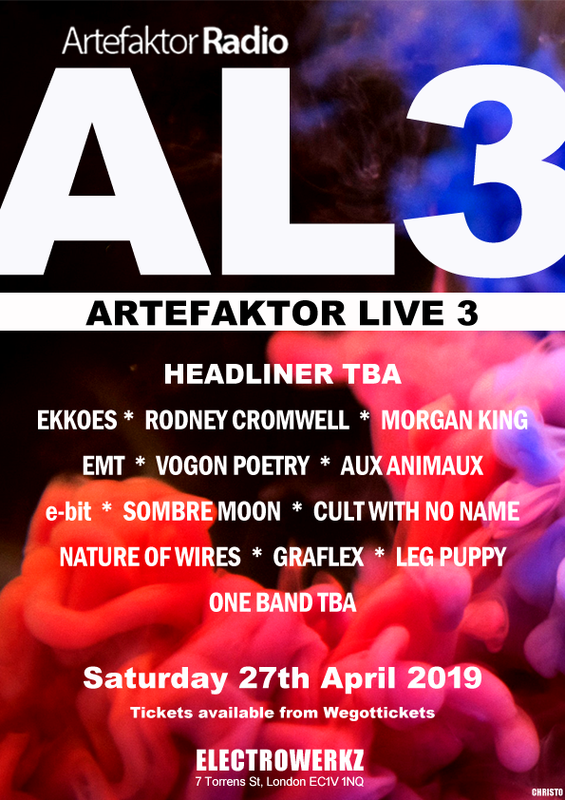 It revolutionised electronic music because it allowed one device to be controlled from another, cutting down the amount of kit that bands required. It also saw a boost in technology to take advantage of this new standard, particularly for home-based musicians. Later commenting on MIDI’s impact, Kakehashi said “It’s already been 30 years since the debut of MIDI protocol in 1983, but it seems to me that those years have passed so quickly. Electronic musical instruments have become very popular all over the world through this time, and it is my great pleasure that MIDI played a significant role in their prevalence”. But synthesisers were also still part of Roland’s developments, including synths such as the SH-101. Introduced in 1982, this 32-key monophonic synth became very popular among a wide variety of synthpop artists. Because it was portable, it was also possible for artists to perform with it on stage by use of a strap and neck grip. It’s a synth that’s been used by Vince Clarke, OMD (The rolling bass sequence on ‘Locomotion’ is down to the SH-101) and Apollo 440. Even today, contemporary electronic artists such as Boards Of Canada still use it. One of Roland’s first polyphonic synths was the Jupiter-4. Launched in 1978, this synth went on to be used by Tangerine Dream, Gary Numan, Thomas Dolby, Depeche Mode, The Human League and David Bowie. This series continued in the form of the Jupiter-8, an 8-voice polyphonic synth that arrived in 1981. It was a standard synth for OMD throughout the Junk Culture and Crush eras having first been introduced to the band by Howard Jones. It also saw use from Frankie Goes To Hollywood, Tony Visconti and appears on Roxy Music’s Avalon. The mid-1980s saw some particularly significant changes in music technology, particularly the arrival of digital synths – heralded by the likes of Yamaha’s ubiquitous DX7 and, later, Korg’s M1. Stepping into this competitive market, Roland’s D-50 was a 16-voice digital synth which had the advantage over the DX7 as being easier to programme. The D-50 also employed Roland’s Linear Arithmetic Synthesis (better known as LA Synthesis), a method of giving digital sounds a much more authentic feel. Ultimately, Roland lost this particular battle to the Korg M1, but demonstrated that as a company they could evolve and keep pace with the competition. In 2001 Kakehashi relinquished the role of chairman with Roland, instead taking a consultancy role to the company. His achievements were honoured by being awarded a Musikmesse International Press Lifetime Achievement Award in 2002. He was also given a Technical Grammy Award (alongside Dave Smith of Sequential Circuits) in 2013. Without Ikutaro Kakehashi’s vision and his captaincy of Roland, the state of the music industry would have been a very different landscape indeed. His legacy is marked by the countless bands, artists and songs that have employed the gear that Roland developed – and it’s a legacy that’s still very much in effect for modern electronic music today.